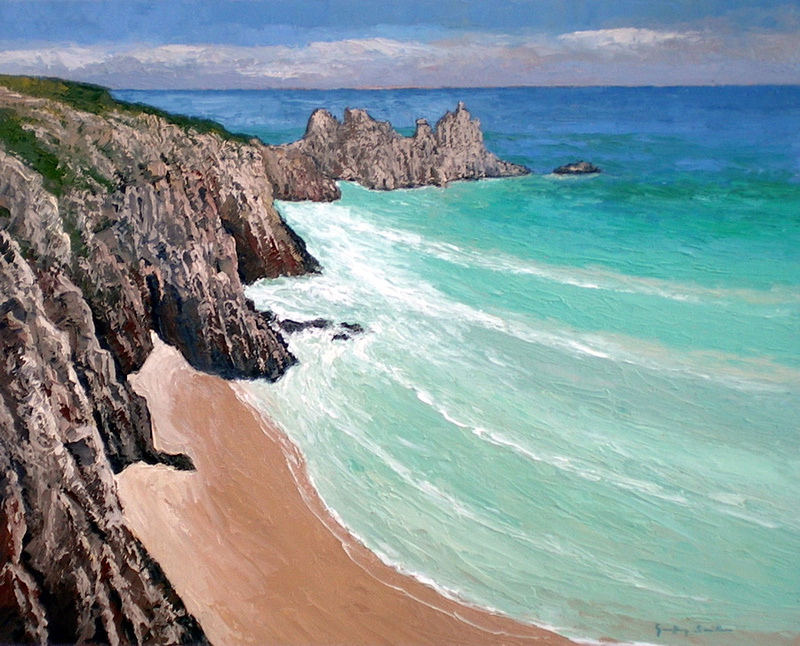 I sketched this view just below the Minack open-air theatre. The beautiful white sands and blue/green sea looked reminiscent of a Mediterranean scene. The curve of Porthcurno bay takes the eye to the famous Logan Rock.